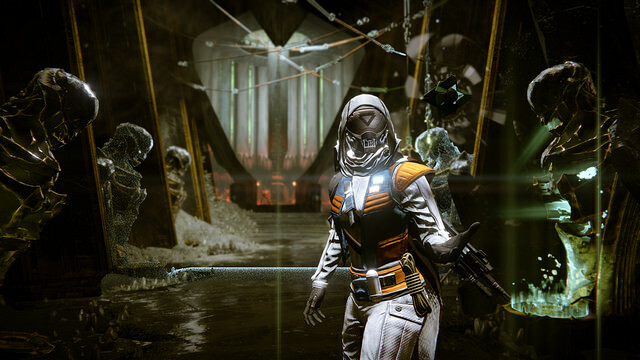 When Destiny’s April Update arrives on April 12 for The Taken King owners, Bungie will be adding even more PlayStation-exclusive content on PS4 and PS3, including a new Sparrow, new quest, and new armor. First up is the Zen Meteor Exotic Sniper Rifle, which can be obtained by decrypting Exotic Engrams or Legendary Engrams, or “via other sources of Year-Two Exotics.” With the Dynamite perk, you’ll have explosive rounds where rapid kills with every round in the clip grant an extra, higher-damage round for five seconds. With a Laser Beam, the extra Dynamite round causes a huge explosion. For the Velumbra Sparrow, you must complete the Fight Fire with Fire mission. The PlayStation-exclusive Essence of Darkness quest will also reward the Velumbra Sparrow. You can see images of the PlayStation-exclusive content in the gallery below. We’ll have more details on the Destiny April Update once it’s live on Tuesday, but so far we know it includes new PVE challenges, new and updated gear, a new quest featuring the Blighted Chalice Strike, increase max light and rewards, and sandbox and crucible updates.